Loss of alveolar bone may be attributed to a variety of factors, such as endodontic pathology, periodontitis, facial trauma and aggressive maneuvers during extractions. Whether due to caries, trauma or advanced periodontal disease, tooth extraction and subsequent healing of the socket commonly result in osseous deformities of the alveolar ridge, including reduced height and reduced width of the residual ridge  .This possesses a problem to the dentist in fabrication of an esthetic pontic in anterior region. The ovate pontic is the most esthetically appealing pontic design. Its convex tissue surface resides in a soft tissue depression or hollow in the residual ridge, which makes it appear that a tooth is literally emerging from the gingiva. Careful treatment planning is necessary for successful results. Socket-preservation techniques, should be performed at the time of extraction to create the tissue recess from which the ovate pontic form will emerge. 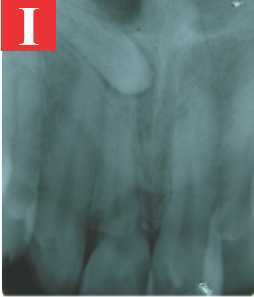 Subsequent to tooth extraction, the alveolar ridge undergoes reabsorption and atrophy, thus exhibiting a wide range of dimensional changes among individual patients , .The soft and hard tissue healing within the extraction sockets following tooth removal was studied in humans and animals by histologic and clinical evaluations ,,, . The healing of the extraction socket involved a series of events, including the formation of a coagulum that was replaced with a provisional connective tissue matrix. After 1 month, woven bone filled the extraction socket; a cortical ridge, including woven and lamellar bone, was observed after 3 months; subsequently, the woven bone was gradually replaced with lamellar bone and marrow. Some clinical studies , documented an average of 4.0 to 4.5 mm of horizontal bone reabsorption following tooth extraction. Other studies , documented significant dimensional changes in the surrounding alveolar bone following extraction procedures. Therefore, based on experimental studies of dimensional changes, it may be suggested that the reabsorption of bone walls of the extraction sites occurred in two overlapping phases. During the first phase, the bundle bone was reabsorbed and replaced with woven bone, resulting in vertical reduction of the alveolar crest. The second phase showed that reabsorption had occurred from the outer surfaces of both bone walls. This remodeling pattern causes a horizontal reabsorption that may also induce a further vertical reduction of the buccal bone , . These reabsorbed ridges do not often permit appropriate pontic fabrication when conventional fixed prostheses are contemplated . With an understanding of these goals and biological considerations, the "Bio-Col" socket preservation technique was developed , . The surgical protocol ensures the preservation of both hard and soft tissues at the time of tooth extraction, and it virtually eliminates the bone resorption that would normally follow tooth removal. Hence, this study was carried out to evaluate the effectiveness of the "Bio-Col" socket preservation technique after extraction of maxillary right central incisor followed by an Anterior Ovate Pontic bridge. Here an Osteoconductive slowly resorbable grafting material was used with a resorbable collagen membrane. A 36 year old male patient reported to the clinic with a fractured maxillary right central incisor. His medical history was non-contributory. The dental history was contributory with recent trauma with right maxillary central incisor. Radiographically there was a fracture and the prognosis was poor. The patient expressed a strong desire to have the tooth replaced as quickly as possible. It was indicated for extraction following which an Ovate pontic was planned as per the patients requirements. 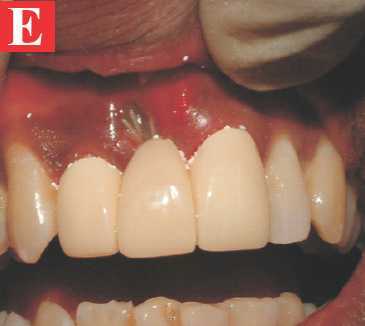 Extraction-site ridge preservation gives rise to a new standard of care after tooth extraction. Instead of only eradicating disease, we also are able to restore alveolar form and function. Therefore, we help preserve the maximum height and width of hard and soft tissues. 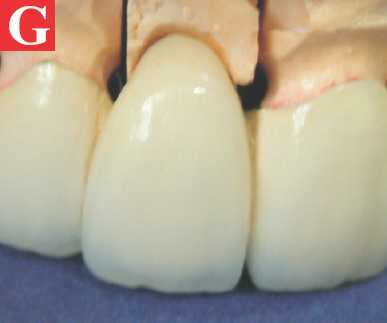 There are various methods of ridge preservation using various different grafting materials such as Calcium sulphate hemihydrates  , Xenograft  , Demineralized Freeze-Dried Bone Allograft (DFDBA)  .The literature justifies the use of bone grafting materials in freshly extracted sockets , .Using a Osteoconductive slowly resorbable grafting material Such as Bio- Oss along with a absorbable collagen dressing has proven to be one of the most successful techniques also known as Bio-Col technique. 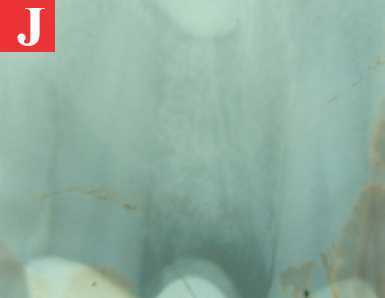 The concept of atraumatic extraction followed by socket grafting and placement of an ovate pontic to preserve gingival architecture was presented by Schlar. Minimizing trauma to surrounding hard and soft tissues during tooth extraction. 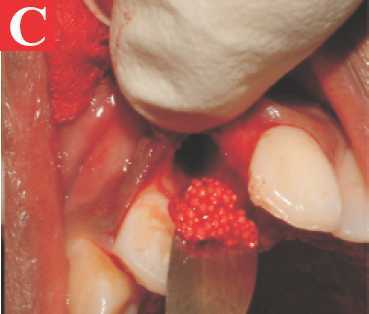 Grafting a slowly bleeding extraction socket with an effective, slowly resorbing, osteoconductive material. Retaining an intact vascular supply and normal soft tissue anatomy by avoiding flap reflection. 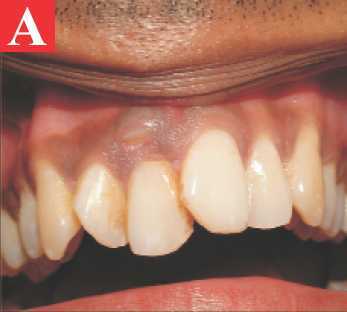 Subsequent flap advancement and closure often lead to distortion of interdental papillae and marginal gingival architecture, both critical to a final esthetic prosthetic result. In place of primary flap closure, protection of the underlying grafted socket from the oral environment is afforded by condensing an absorbable collagen dressing over the Cerasorb graft material. The soft tissue collapse that occurs following tooth removal can be eliminated by immediately supporting the surrounding soft tissue, with anatomically correct provisional restorations that duplicate normal tooth contours. A modified ovate pontic is the ideal interim restoration to support and help retain normal soft tissue architecture and is advocated in the Bio-Col Technique. Effective site preservation following tooth removal requires an effective, slowly resorbing, osteoconductive grafting material. The ovate pontic was initially described in 1933 but was only acceptable clinically recently. The ovate pontic is the most esthetically appealing pontic design. Socket preservation techniques, which have already been described, should be performed at the time of extraction to create the tissue recess from which the ovate pontic form will emerge. Meticulous attention to the contour of the pontic of the provisional restoration is essential when conditioning and shaping the residual ridge that will receive the definitive prosthesis. The ovate pontic's advantages include its pleasing appearance and its strength. Because the tissue surface of the pontic is convex in all dimensions, it is accessible to dental floss; however, meticulous oral hygiene is necessary to prevent tissue inflammation resulting from the large area of tissue contact. Other disadvantages include the need for surgical tissue management and the associated cost. There are various methods of socket preservation following tooth extraction. Among these, socket preservation by Bio-Col technique using osteoconductive grafting material along with resorbable collagen membrane is one of the most successful technique followed by a provisional prosthesis which preserves a good density of tissue & maintains tissue contour for the placement of a final prosthesis with an ovate pontic which gives excellent esthetic results with an illusion of the tooth emerging from the gums. 2. Lekovic V, Kenney EB, Weinlaender M, et al. A bone regenerative approach to alveolar ridge maintenance following tooth extraction. Report of 10 cases. J Periodontol 1997;68:563-570. 3. Lekovic V, Camargo PM, Klokkevold PR, et al. 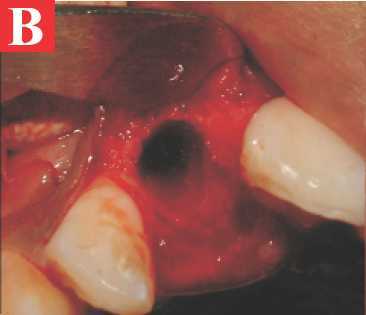 Preservation of alveolar bone in extraction sockets using bioabsorbable membranes. J Periodontol 1998;69: 1044-1049. 4. Cardaropoli G, Arau´ jo MG, Lindhe J. Dynamics of bone tissue formation in tooth extraction sites. An experimental study in dogs. J Clin Periodontol 2003; 30:809-818. 5. 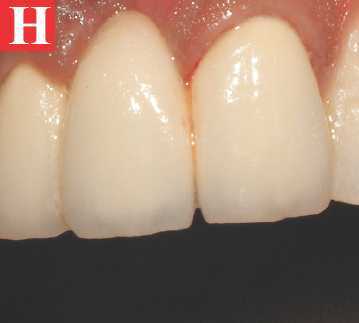 Arau´ jo MG, Lindhe J. Dimensional ridge alterations following tooth extraction. An experimental study in the dog. J Clin Periodontol 2005;32:212-218. 6. Schropp L, Wenzel A, Kostopoulos L, Karring T. Bone healing and soft tissue contour changes following single-tooth extraction: A clinical and radiographic 12- month prospective study. 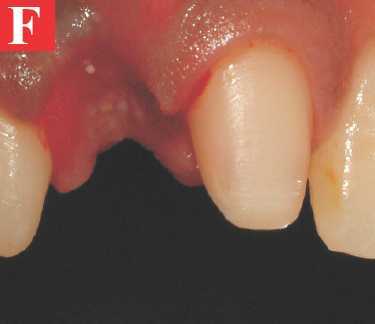 Int J Periodontics Restorative Dent 2003;23:313-323. 7. Nemcovsky CE, Serfaty V. Alveolar ridge preservation following tooth extraction of maxillary anterior teeth. Report on 23 consecutive cases. J Periodontol 1996; 67:390-395. 8. Sclar A. Ridge Preservation for Optimum Esthetics and Function: The "Bio-Col" Technique. Postgraduate Dentistry 1999;6(1): 3-11. 9. Sclar A. The Bio-Col Technique. 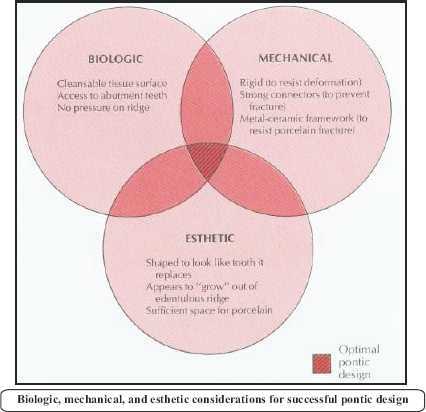 In Soft Tissue and Esthetic Considerations in Implant Therapy 2003 Quintessence Publishing, pp 75-112.